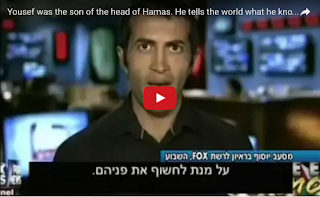 Masub Yousef is the son of who was the head of Hamas. He grew up in Gaza and experienced first hand the suffering that Hamas causes their own people and specifically children. Peace can only come with truth and Yousef gives the world a full course on the truth of Hamas. Listen to this hero and SHARE it to the world! Don't forget to subscribe as well as join me on the IsraelShield Facebook Page and @israel_shield on Twitter! Thank you for speaking out. I know this can be dangerous for you and you are courageous to do this. I too cry for the innocent children of Gaza and the West Bank. Israel warns people but they are not allowed to leave their homes. I pray that one day all of our children will sleep and live in peace.